Austin Texas mystery photo 1955. 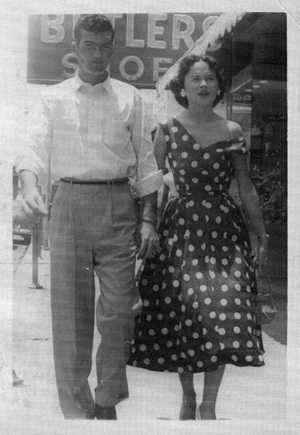 I have attached a picture that was taken in the summer of 1955 of my fiance Durway Jaynes and myself. We were leaving his place of employment at Butler's Shoe Store on Austin Ave. Anyone with information, please contact us. 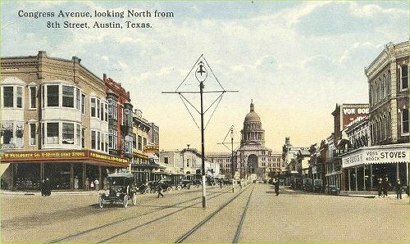 Congress Avenure , looking North from 8th Street, Austin, Texas. Texas Escapes, in its purpose to preserve historic, endangered and vanishing Texas, asks that anyone wishing to share their local history, stories, or vintage/historic photos, please contact us.